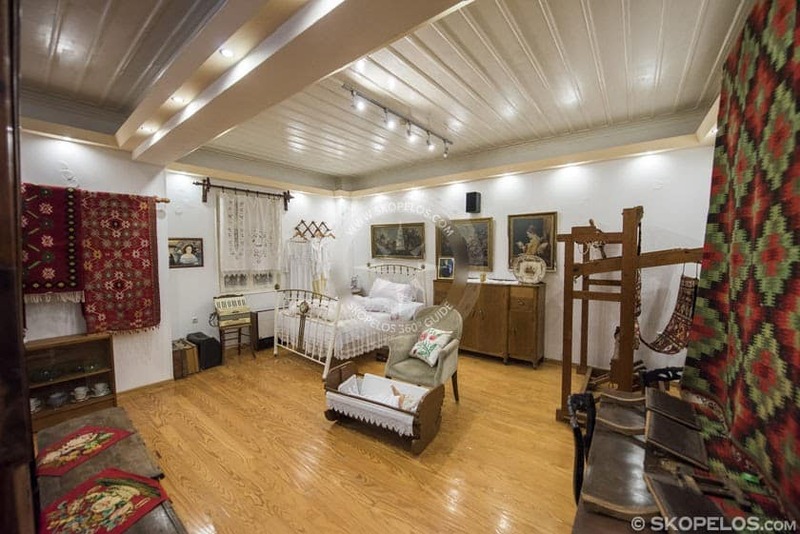 The Folklore Museum of Skopelos is housed in one of the mansions of Skopelos from the 18th century. 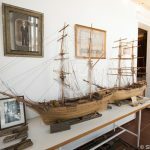 The Folklore Museum of Skopelos is housed in one of the mansions of Skopelos from the 18th century. Specifically in the Nikolaidis Mansion. The building was originally built in 1795. Unfortunately it suffered a lot of damage in the 1963 earthquakes. So, the people restored the mansion to its old glory in 1971. 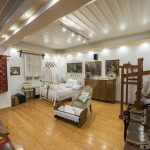 At the Folklore Museum of Skopelos you will get a picture of what a household of the past century looked like. 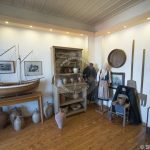 Actually, by visiting the Museum you will come closer to the culture of Skopelos. 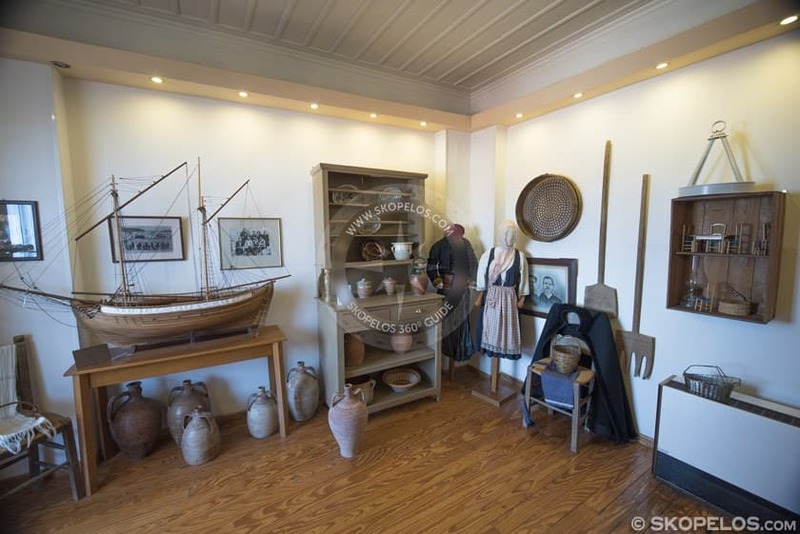 At the Folklore Museum of Skopelos you will admire the traditional outfit of Skopelos. Especially the clothes of the bride are very unique, covered with a lot of details. Moreover, at the Museum you will find a great selection of knives, ceramics and paintings. 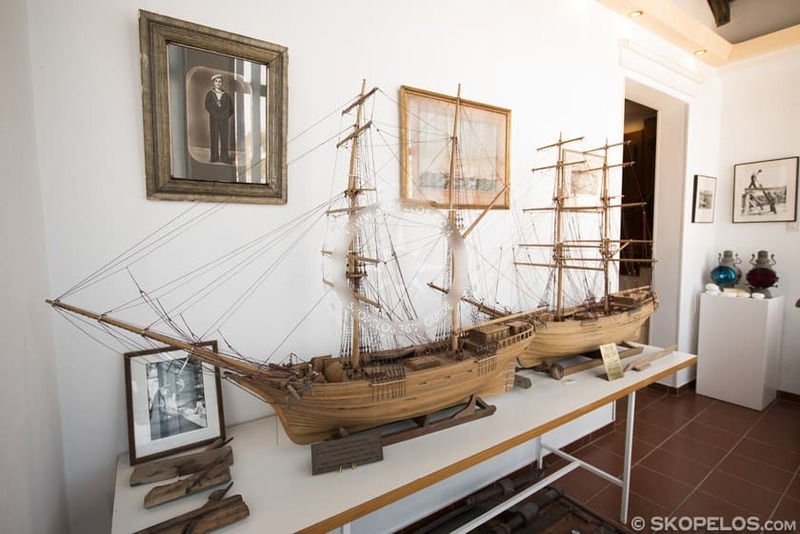 As well as, the special collection of the small replicas of boats of the well-known craftsman Triantafilo Boudala. People of eldest generation have also donated to the Museum original embroideries and hand-carved furniture. Therefore, most of the exhibits come mainly from donations from families of Skopelos. So, pay a visit to the Folklore Museum is well worth. Since you get a sense of the great artwork that the people of Skopelos have created. Opening hours: During the summer season it is open daily 8:00-15:00 and 18:30-23:00. On weekends 10:30-14:00 and 18:30-23:00.